Friday, December 7th, from 7-10pm. Mom and Dad! Take the night off. Go on a date or do some Christmas shopping but leave the kids with us! Kids can come in their pajamas to the Church Fellowship Hall. 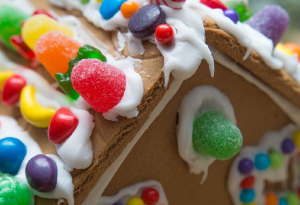 Decorate a gingerbread house, watch a Christmas Movie, and enjoy some snacks. Children 6th grade and younger are welcome – Children Kindergarten and under need to be accompanied by a responsible teen or adult.